The Meeting Place > Events Offers Activities > Happy Birthday!!! There was a time when I was 3 times as old as Cats. Now only 1 & a tiny bit. 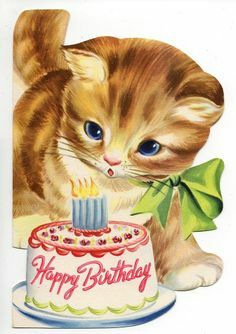 Slow down Cats, but enjoy your birthday regardless. :) Have a good one oh regal feline. Recline and rejoice. Hey cats, have a good one mate. Happy Birthday Cats, hope you had a great day.